GE's industrial Internet of Things platform, Predix, is going to be available on the Microsoft Azure cloud, but not immediately. It will be globally commercial available in the second quarter of 2017. GE believes that Predix needs to a complete product, from the edge (the sensor on the shop floor) to the cloud, or Azure in this instance. The upshot: It will be easier to integrate tools such as Microsoft's Cortana, the intelligent personal assistant, with Predix. Developers will get their best look at how this will come together at the first Predix developer conference, which begins on July 25 in Las Vegas. About 2,500 attendees are expected. Predix, a platform-as-a-service, became widely available last year after being developed for GE's internal use. It lets IT managers gather machine data from sensor-enabled systems into a single platform. From there, systems can be monitored and analytics applied to improve operations. GE's edge is that it already operates vast manufacturing facilities. It needed something like Predix for its own operations. But GE also saw a market opportunity that was driven by necessity. The view of GE's top leaders was this: "If we don't start becoming and behaving like a true software company we don't have a future," said Abhi Kunte, GE's digital global head of technology strategic alliances, who led the partnership agreement with Microsoft. "It's true not just for us; it's true for any industrial company," he said in an interview. 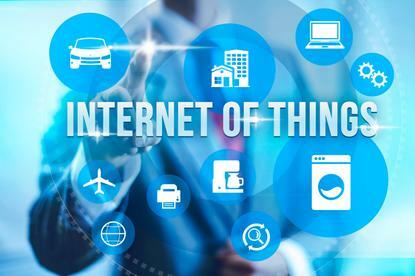 The thing to note in the announcement was about those who made it, said Alfonso Velosa, a Gartner analyst who reports on the IoT: Jeff Immelt, the CEO of GE, and Satya Nadella, Microsoft's CEO. Velosa said the agreement was significant, and it combined firms with two specific strengths: "One in operational technology, the other in information technology." "There are no products available today available for this," said Velosa, "so we will have to wait and see how it actually does develop and if it reaches its full potential." The platform is open to third-party developers, said Kunte. Kunte expects that Microsoft software, such as business intelligence tools, will be built on top of Predix. The outcome will be to allow users to bridge the gap -- to take the operational data that comes from Predix, along with data from ERP, CRM and other IT systems, and "bring them together," he said.